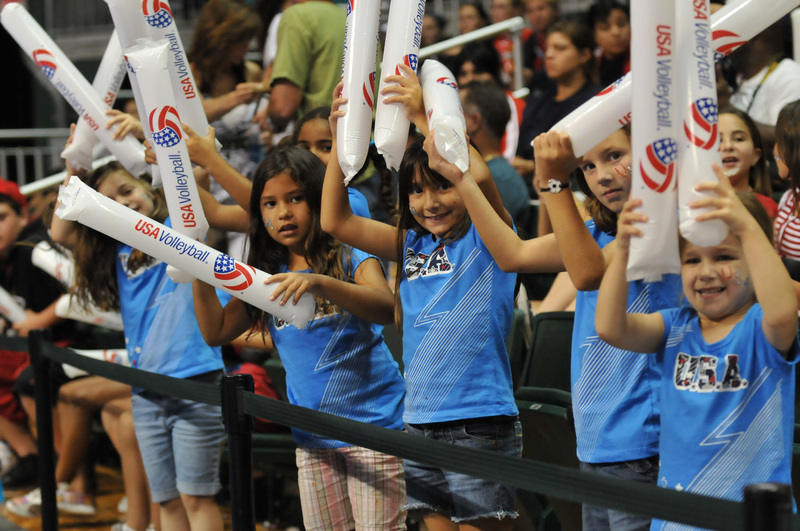 The USA Volleyball Foundation was established in 1995 and serves as a “support organization” for USA Volleyball and its Regional Volleyball Associations. As a 501(c)(3) non-profit organization and the philanthropic arm of USA Volleyball, the Foundation is responsible for providing long-term financial support through various fundraising efforts and supporting the mission and goals of USA Volleyball and its Regions. After the 1984 Olympics, the Los Angeles Olympic Organizing Committee granted USA Volleyball $1,280,000 out of the net profits from the Games. These monies were then designated as a restricted asset to be invested for the long term. In 2005, the USAV Board officially transferred these funds to the Foundation to serve as the beginnings of a permanent endowment. Since that time, the Foundation’s investment assets have grown to almost $4 million. The Foundation aims to obtain donations of money and other financial instruments from private donors, corporations and other foundations for the programs, events, and purposes that USA Volleyball has identified will “grow the game” for the citizens of United States of America. Private support is vital to developing the “pipeline” of athletes, coaches and others (from grassroots programs to the elite levels) who will represent the U.S. in international competition and to achieve what the USOC has identified as “Olympism and the Olympic Ideals”: A philosophy of life rooted in the balanced development of the mind, body and character, combining culture and education with a view to promoting peace, understanding, dignity, fair-play and respect for others. The Mission of the USA Volleyball Foundation is to develop monetary support that is directed to the development, growth and sustainability of the sport of volleyball in the United States. The Mission is accomplished through the engagement of generous private donors and the long-term investment of Foundation assets. The USA Volleyball Foundation fully subscribes to the Donor Bill of Rights as stated below. The Foundation is dedicated to ensuring these Rights are followed as stated and as intended.